You’ll get priority access to online check-in, and you can choose your seat from 90 days before your return flight on our flight extras page. If you’ve opted for Premium Club, Extra Legroom or Extra Space seats, you can select as soon as you’ve booked. Want to upgrade to Select Your Seat? 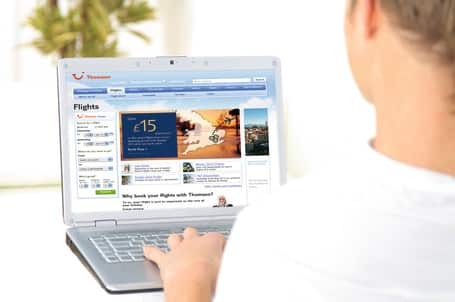 If you booked your holiday online, you can upgrade via Manage My Booking or My Account. For holidays booked in store, you can pop in to your local TUI Holiday Store or call us on 0203 636 1790. If you're departing in the next 48 hours, you'll need to visit the flight extras page to upgrade. Not sure where to sit? Why not take a virtual tour of one of our 787 Dreamliners? Just so you know, children under 12 will be seated with at least one adult in your party. This means either in the same row, one row in front or behind, or across the aisle.If this doesn’t happen when you check in, you can call us on 0203 636 1790. *For full terms and conditions, visit the “Select Your Seat” section of our A to Z guide. 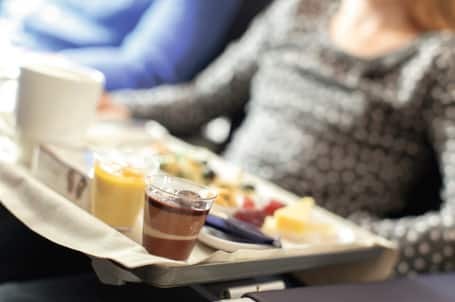 You can choose from a menu of light bites, sandwiches and hot snacks on our short and mid-haul flights of up to seven hours. There are healthy and vegetarian options, too, as well as a range of hot and cold drinks. If you’ve travelling to Cape Verde or Lapland, you’ll get a light meal with tea or coffee included as part of your package. On our long-haul flights – of seven hours or more – you’ll get a main meal and a light refreshment before landing. Your main meal will be served with a complimentary soft, hot or alcoholic drink. And you can choose what type of meal you need when you book. What’s more, there’s still a snack service on offer, if you want to buy any extra bites. Check out our long-haul experience page for more. *We don’t provide meals for under-2s, so you’ll need to bring something with you. 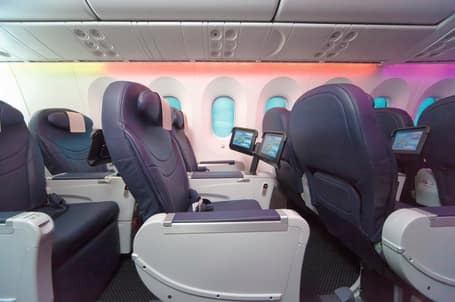 Treat yourself to seats with extra legroom on your TUI flight. You’ll get up to two extra inches on your seat pitch, plus you can choose your seats from a plan of the plane. You’ll also get priority access to online check-in. These seats are suitable for adults and children. If you’ve already booked Extra Legroom seats, you can select these as soon as your holiday’s booked on the flight extras page. If not, you can upgrade by logging into Manage My Booking or My Account. For holidays booked in store, you can either pop in to your local TUI Holiday Store or give us a call on 0203 636 1790. If you're departing in the next 48 hours, you'll need to visit the flight extras page to upgrade. Get comfy on your flight by booking Extra Space seats. 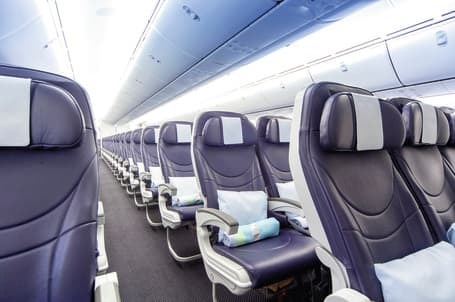 These include seats that are close to, or next to, emergency exit doors, behind a bulkhead or behind a dividing wall, giving you extra space, and often extra legroom, too. On our 787 Dreamliners, they may also be found in the first four rows of the Economy Club cabin. Adults and children 12 years and over can book these seats in advance on a TUI flight. If you’re flying with another airline, you’ll need to be 16 years or over to book extra space seats. If you've already booked seats with Extra Space, you can select these as soon as your holiday's booked, over on the flight extras page. If not, you can upgrade by logging into Manage My Booking or My Account. For holidays booked in store, you can either pop in to your local TUI Holiday Store or give us a call on 0203 636 1790. If you're departing in the next 48 hours, you'll need to visit the flight extras page to upgrade. There are a few things you need to bear in mind before booking these seats – take a look at our A to Z guide for more info. You can travel like a VIP when you book Premium Club. It’s easy to book – just select Premium Club Seats when you book online. You’ll then get to choose your seats from a plan of the plane. Or you can select your seats afterwards on the flight extras page. We’d recommend choosing your seats as soon as possible, to avoid disappointment. If you still want to upgrade, you can do this via Manage My Booking or My Account. For holidays booked in store, you'll need to pop in to your local TUI Holiday Store or call us on 0203 636 1790 to upgrade. If you're departing in the next 48 hours, you'll need to use the flight extras page. If you’re worried about tipping the scales, why not buy some extra space in your case before you go? 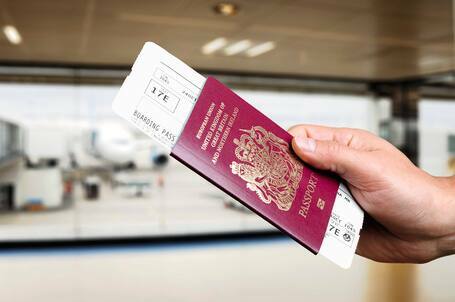 It’s much cheaper than the charges you’ll face at the check-in desk for heavy luggage – prices start at £18 for 5kg. Select extra luggage when you book, or add it to your booking up to two days before you depart, by visiting Manage My Booking or My Account. If you booked in store, you'll need to pop in to your local TUI Holiday Store or call us on 0203 636 1790. If you're departing in the next 48 hours, you can only add extra luggage on the flight extras page. 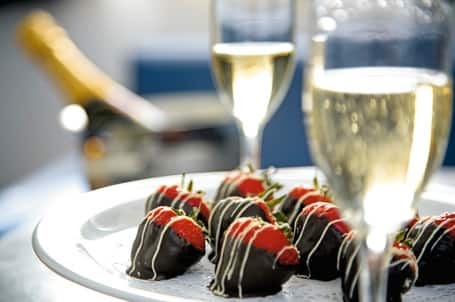 Get your holiday off to a flying start with a chilled bottle of bubbly or a box of chocolates. You can pre-book these items and get them delivered to you on the plane - there's even the option of adding a personal message. 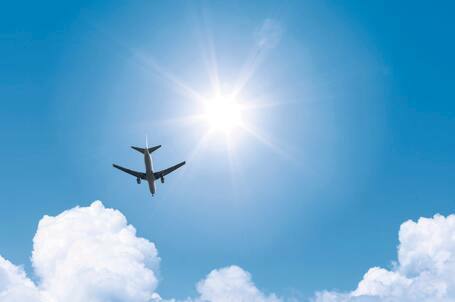 Just head over to the flight extras page or give us a call on 0203 451 2681. We offer full or half bottles of fizz - just bear in mind that you need to book ahead, as we can't guarantee they'll be in stock. 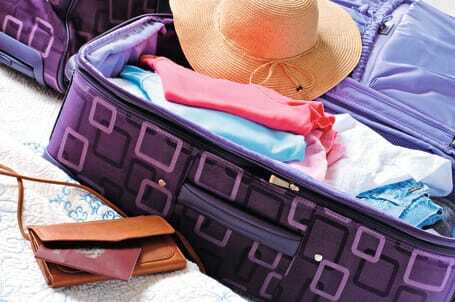 Avoid hassle at the airport by making sure your sports gear is taken care of before you go. You can book in everything from skis and golf clubs to bikes and watersports equipment. We can also take care of musical instruments for you, too. 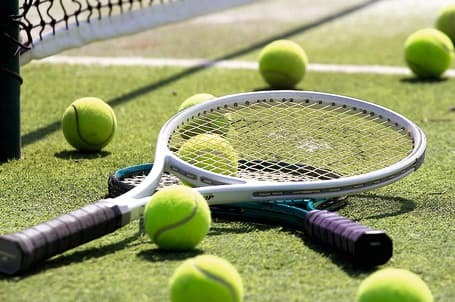 To add sports equipment to your booking, go to the flight extras page, or give us a call on 0203 636 1790. Just so you know, prices may vary depending on your destination. If you’ve got an early flight, or simply don’t want to lug everything around with you, you can check in a whole day early at Gatwick, Manchester, Bristol and Birmingham airports. The best bit? It’s completely free. If you’re catching an evening flight, hang on to a room for a little longer by booking late check-out. Upgrade when you book with us, or add it to an existing booking via Manage My Booking or My Account. If you booked in store, you'll need to pop in to your local TUI Holiday Store or call us on 0203 451 2681. Just so you know, you can only pre-book late check-out at selected hotels.